While the ministry of preaching and church-planting is often spotlighted, the ministries of helps and administrations are not only biblical but extremely necessary. Every Christian is called to preach (see Mark 16:15), but not everyone is called to be a pastor. Yet every pastor is painfully aware that they can't do it all. In order to run a church, the ministries are plenteous and laborers are few. Those who take up supporting ministries soon learn that the work is mostly behind the scenes, and only noticed when it isn't done. For example, when a bathroom isn't clean or when an usher doesn't greet a visitor. It's not surprising that people in these ministries come and go frequently as the work feels unnoticed or thankless. Every church needs a supporting cast. 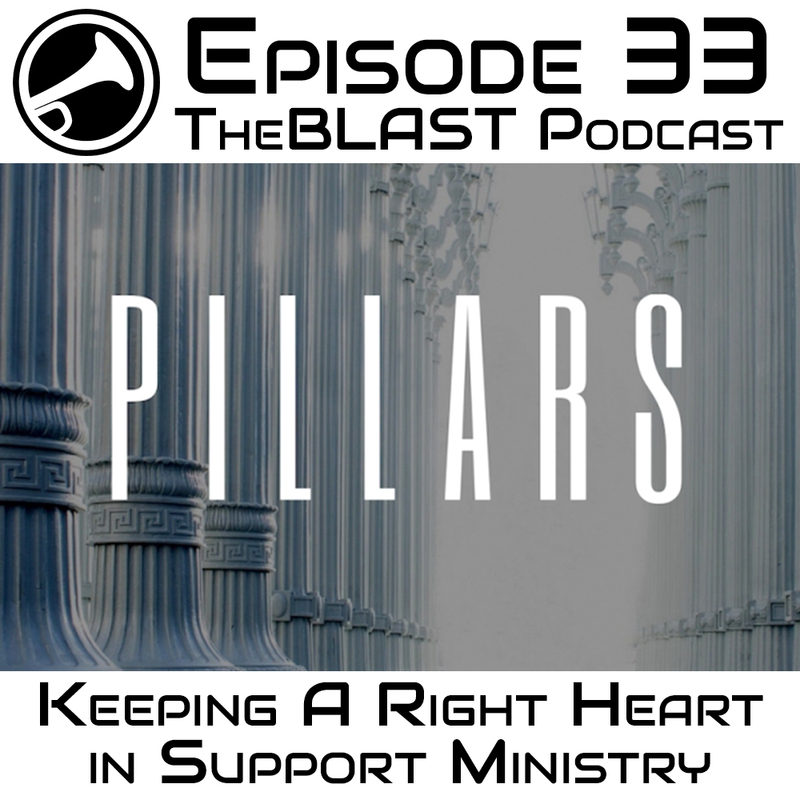 On this episode, we speak with a long-time disciple from the Door Christian Center in Chandler, AZ (the mother church of the Virginia Beach Potter's House). He is one of those people - called to be part of that supporting cast. His name, ironically, is Kast - Phillip Kast. Phillip has led the sound ministry for the past six years at the Chandler church as well as being involved in various other ministries. The sound ministry is tough enough, as musicians and singers want things to sound a certain way while the sound equipment seems to have a mind of its own. No one ever compliments the sound guy when there wasn't feedback, or tells him that the instruments and vocal levels were mixed right. On the contrary, when there's feedback or when someone is slightly too loud everyone turns around and glares at the people working the soundboard. Running that ministry as well being in several others while having a family and working... how did he keep a right heart through it all? The answer may surprise you.. he didn't! Discouragement and bitterness crept in. But he didn't stay that way. We'll let him tell you the rest of the story. Anyone from pastoral ministry to all those in support ministry can identify and learn from Phillip's story. We'd also like to thank Phillip for donating a high-quality, professional-grade microphone to the podcast and for helping us out with some amazing new narration vocals. Please contact him by email or on Facebook if you need any voiceover work. Here's the audio we used for the break. We love these guys!